What does a swim meet include? How do I get to the swim meets? Q: What does practice include? 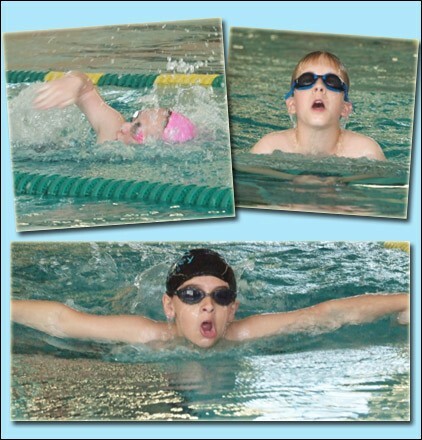 A: Practice includes: refining stroke techniques, diving from the blocks or the side, endurance, teamwork and fun! Q: What do I bring to practice? A: Please bring your swim suit (full piece for girls), towel and goggles. Q: What does a swim meet include? A: Swim meets include competition, teamwork and fun. Q: How do I get to the swim meets? A: Parents are responsible for driving their child to and from swim meets.